A strong and dominant holding midfielder that plays with his heart. Good in the air, competitive and a solid passer thats able to remain focused and follow instruction. 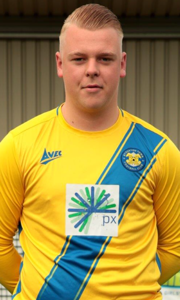 Dangerous around the box having previously played as a CF and recently signed for Stockton Town having impressed in previous encounters.